This is a lovely combination of safari in the Masai Mara with a barefoot beach resort on Zanzibar. You will enjoy game drives from an atmospheric small bush camp in the Maasai Mara reserve and then head on to the Indian Ocean Island of Zanzibar for some serious relaxation on the beach. The Masai Mara National Reserve is Kenya’s premier safari experience, a vast expanse of savannah grassland heavily populated year-round with wildlife. There is always a good chance of seeing lion but Leopard and Cheetah are rarer sightings. Elephant, buffalo and wildebeest are common. The rivers plays host to sun lounging crocodiles and laughing hippos. The epic Wildebeest Migration happens from late June – early September, but the Masai Mara is a fantastic safari destination year round. 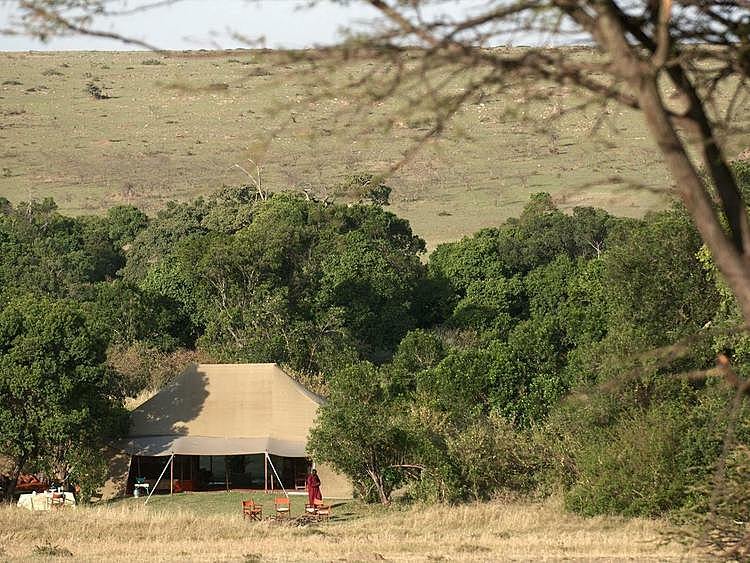 You'll be staying in a fantastic small bush camp in a thoroughly wild setting in the Mara with tents with proper beds and en-suite bathrooms. A typical day on safari generally starts with an early morning rise for a game drive to see the animals at their most active. You then have plenty of time to relax at the lodge in the middle of the day before heading out again in the late afternoon for a game drive and sundowner. The exact plan depends on the time of year and the weather and will be coordinated with your guide upon arrival. From the Masai Mara there are good connections across to the island of Zanzibar. You will still be able to have your morning game drive in the Masai Mara and be on the beach in Zanzibar in the early evening. Breezes Beach Club and Spa is a super resort located on the Southeast coast of Zanzibar. Set on one of Zanzibar’s most picturesque beaches, Breezes has a fantastic range of facilities and activities and is a great choice for active families. Breezes is an old favourite and gets consistently good feedback from our clients. The facilities at Breezes cater for all interests and include several restaurants specialising in different cuisines, an award winning spa, large swimming pool, floodlit tennis courts and an activity centre. Venturing down to the beach guests can take part in snorkelling trips, beach volleyball, windsurfing, kayaking and paddle boarding. A certified diving centre also teaches scuba diving to both advanced and novice divers. 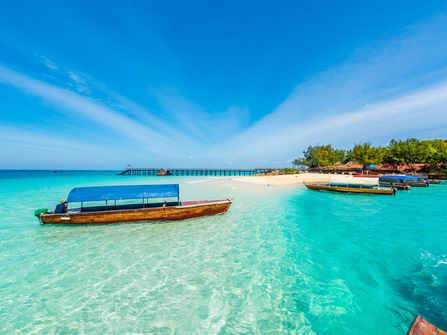 Whilst in Zanzibar, we recommend a visit to Stone Town, with a guided walking tour of the narrow streets and visit to a spice farm tour to see the fascinating array of spices this island is known for. This is a tailor-made itinerary and we would be delighted to customise it to your requirements. For upgrades on safari we recommend Karen Blixen Camp for a good value camp with a swimming pool or Kicheche Mara for a more upscale small bush camp. On Zanzibar, Breezes is a fantastic choice for families and those wanting a range of facilities at the beach, but Pongwe is a fantastic alternative at similar price for a more laid back experience and is great for couples. 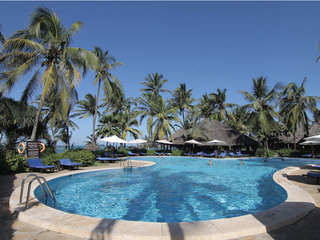 Baraza Beach Resort is an excellent upgrade option. 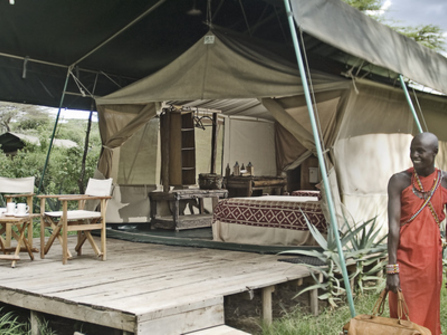 Those with more time might consider combining the safari in the Masai Mara with a camp in the contrasting Laikipia Wilderness area such as Laikipia Wilderness Camp. On arrival at Nairobi International Airport, you will be met and transferred by road to the domestic airport for scheduled light aircraft flight into the Masai Mara. In the late afternoon gather for first game drive to watch the sunset over the Mara from a well-selected viewpoint. An extended rare night game drive to observe nocturnal wildlife is possible on the way back to camp (if weather conditions permit). Depending on which airline you fly, you may need a first night in Nairobi before heading onto the Mara. 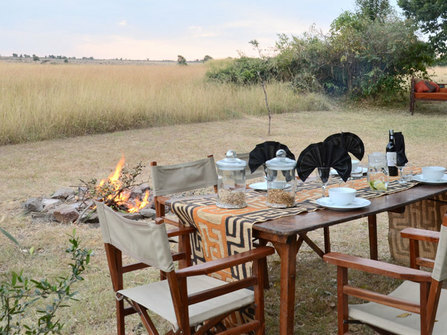 Get up very early for a 6am start after breakfast and spend a full day in the Masai Mara reserve on game drives. You’ll take along your picnic lunch to enjoy at the scenic Hippo pool on the banks of the Mara River. Ecologically Masai Mara is an extension of the great Serengeti plains and teems with abundant wildlife. We traverse the park in search of elephant, buffalo, lion, cheetah, leopard, zebra, giraffe, hippo, crocodile and a whole ark-full of other animals. Expert naturalist guides ensure you get the very best chance of seeing most of these animals and understand their habits. Today you may want to rather do a morning game drive with return to camp to relax before the afternoon game drive. Final morning game drive and breakfast in camp before your return light aircraft flight to Nairobi. 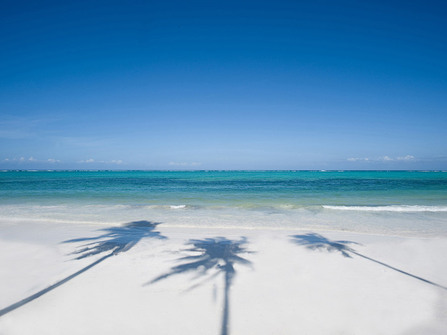 On arrival you will be transferred by road to the international airport for scheduled early evening flight to Zanzibar. 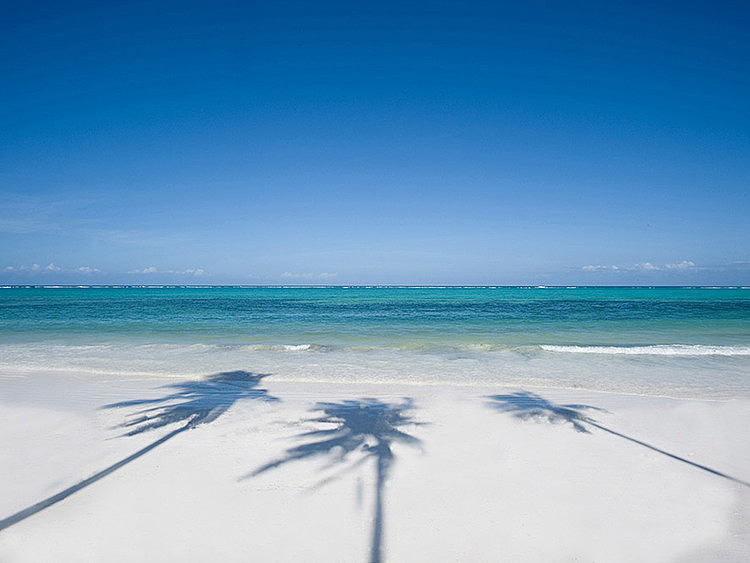 (Flight to Zanzibar part of your international flight ticket). Transfer to your beach hotel. International flights from the UK to Kenya typically cost £750 - £1250 return per person (see below for more detail) depending on the airline and when you are travelling. Please get in touch for a flight inclusive quote. All accommodation, meals as mentioned, scheduled shared safari activities and transfers quoted in the itinerary. Excludes: Items of a personal nature, visas, travel insurance, medical requirements, international flights from London to Nairobi / Zanzibar. Flight quotes available on request. Price for ground arrangements is valid year round (except Christmas and New Year).